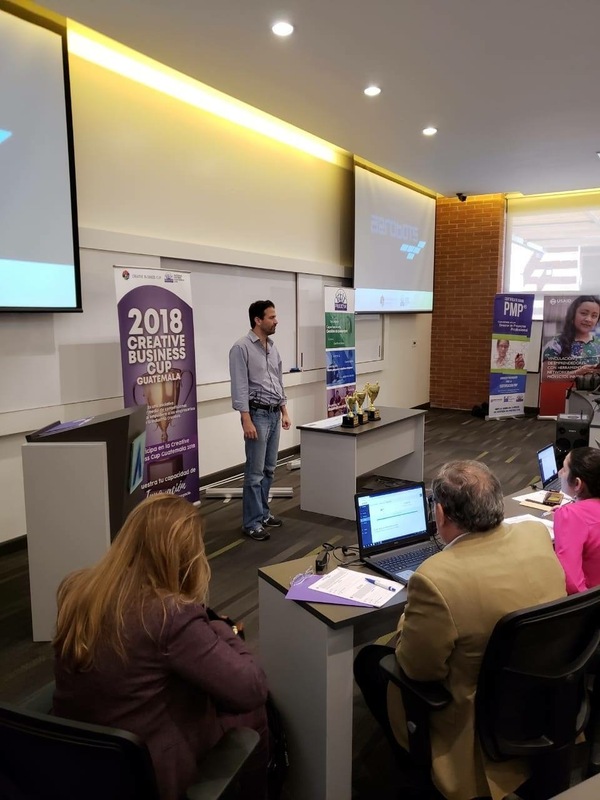 El 12 de octubre se llevó a cabo la final nacional de la Creative Business Cup (CBC) Guatemala 2018 en donde Aerobots obtuvo el primer lugar, haciéndose acreedor a representar a Guatemala en la Creative Business Cup internacional a celebrarse del 24 al 27 de noviembre de este año en Copenhague, Dinamarca; evento en donde participarán más de 60 países socios de la CBC. Guatemala will participate for the first time in the CBC and Aerobots will be the creative startup that will represent it in the international event to be held in the Scandinavian country that will have more than 60 participating countries. The cup aims those projects that are based on creative skills and that collaborate with industries related to innovation. According to Lucía Barreda, General Director of the Promotora para el Desarrollo Turístico (Prodetur), the winning project had to "show creativity, have a commercial execution and project a business with market potential", conditions that Aerobots met to obtain the first place of the event. In the same way, Dr. Barreda mentioned that "there is a lot of pressure for Guatemala because we want to do a good job in the competition", since not only is the first time participating in the event, but the country was also chosen as a member of the CBC.